Regeneron Pharmaceuticals and Geisinger Health System today published in Science details of their DiscovEHR precision medicine collaboration that is leveraging large-scale sequencing and de-identified data from electronic health records to guide genomic medicine and genomics-guided therapeutic discoveries. Geisinger is a healthcare system that provides coverage to people in parts of Pennsylvania and New Jersey. To date, DiscovEHR has performed exome sequencing and analyses of 50,000 Geisinger patients, all of whom are a part of the Geisinger MyCode Community Health Initiative, a cohort of more than 112,000 patients who have all consented to provide blood and/or tissue samples to be genetically sequenced. Data from those patients already sequenced have been linked to corresponding health records, which enables the discovery of actionable clinical associations to support both existing and new therapeutic targets. The DiscovEHR collaboration returns valuable information to both Regeneron and Geisinger. 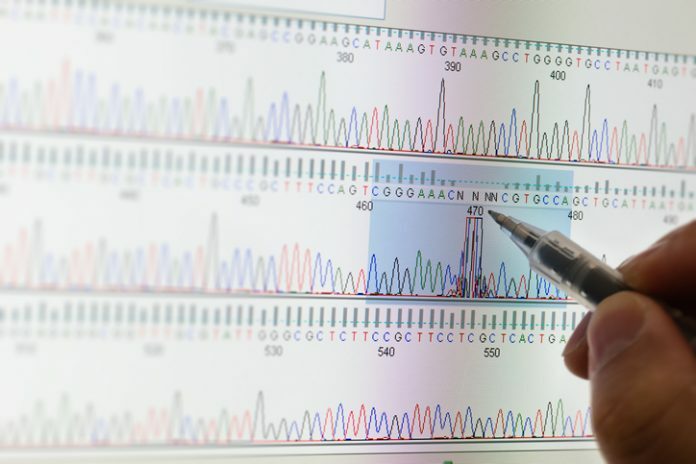 In the study, approximately 3.5% of individuals were found to have known or predicted deleterious genetic variants in one of 76 clinically actionable genes (56 as defined by the American College of Medical Genetics and Genomics, plus an additional 20 recommended by Geisinger). Most of the mutations are related to cancer risk and cardiovascular illness. Geisinger clinicians are now using this information to provide more precise treatment to their patients. Of those in the study, nearly 200 have already been informed that they carry one or more disease-causing genetic mutations with consequences that can be treated. For Regeneron, this same information flows back to the company completely de-identified, which it is using to help guide the development of new precision therapies targeting these specific mutations. A concurrent RGC-Geisinger Science paper published today provides a case study for how genomic medicine can be implemented in clinical care by qualified healthcare providers such as Geisinger. In it the collaborators assessed the prevalence and clinical impact of genomic variants associated with Familial Hypercholesterolemia (FH), a genetic disease that remains underdiagnosed despite widespread cholesterol screening. Geisinger is a healthcare system that provides coverage to people in parts of Pennsylvania and New Jersey.